Keep your nursery tidy in style! 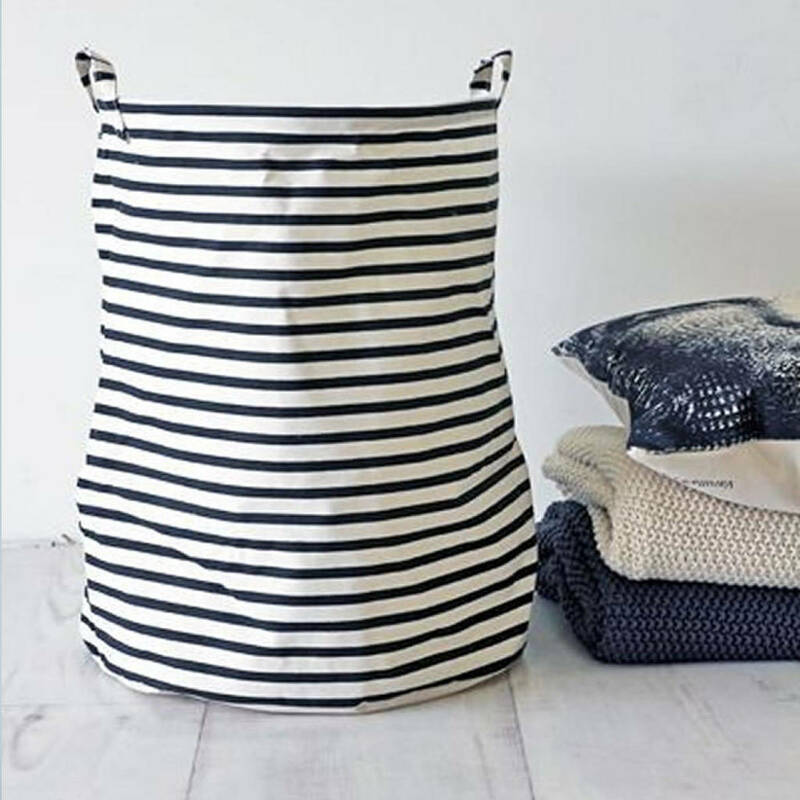 Stylish and classic design in black and off-white stripes for a nautical or monochrome styled home and useful for so many places around the house. 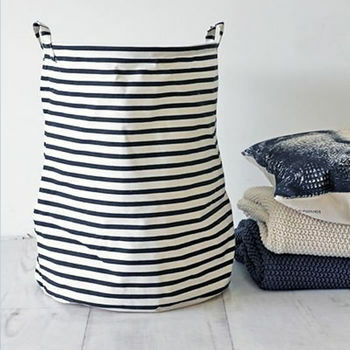 Use with a wall hook and store your laundry in your bathroom or utility room or why not have one for each family member to store personal belongings, hats, gloves etc in your hall? PE coated inside providing water resistance and durability. 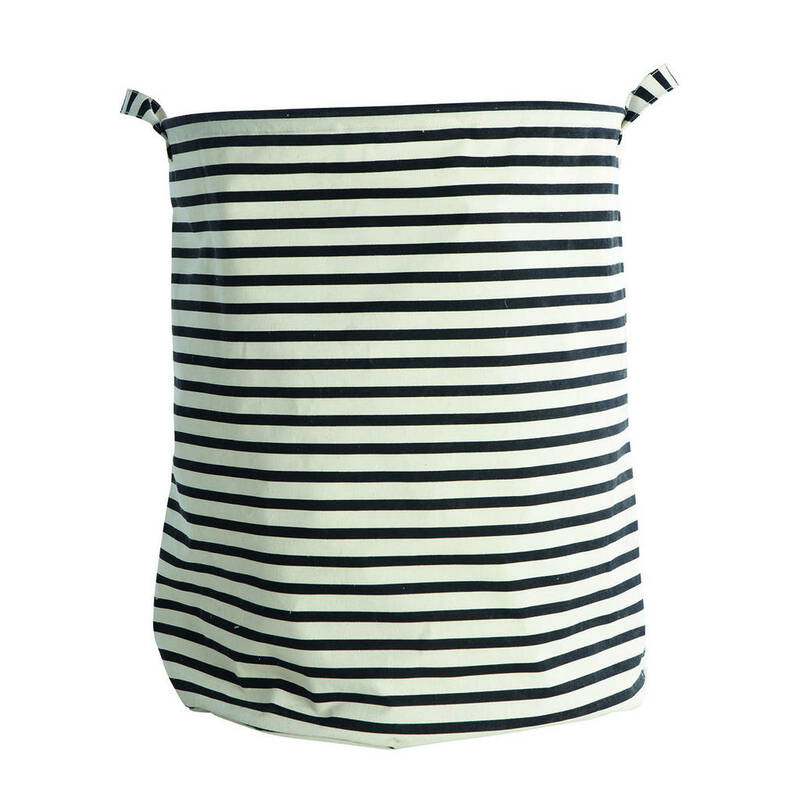 This fabric laundry bag with two handles is made from a stiff cotton that folds down flat when not in use. The practical handles are a nice detail and make it easy to carry the laundry basket to the washing machine. 37.5% cotton, 40.4% polyester, 22.1% rayon. PE coated backside.